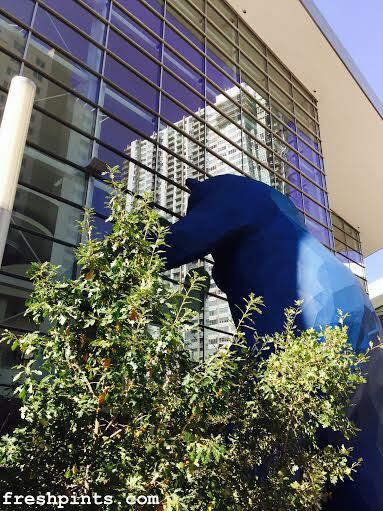 The Blue Bear peeking into the Denver Convention Center where GABF is held. 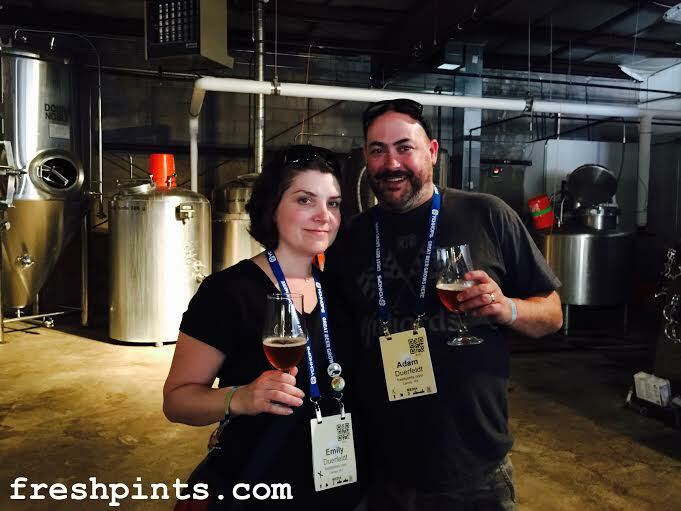 Its been a couple weeks now since Emily and I returned from our first time attending GABF. First off I should say that with 800 breweries and 3500 beers to taste at GABF and all the ancillary beer events going on in and around Denver during the week of GABF, this is a bucket list event that all craft beer lovers should attend. Hopefully you followed along with us via Twitter and Instagram as we packed so much in during our quick trip to Denver/GABF that social media really tells the story......tasting beers....tasting beers...little bit of food....tasting beer...tasting beer....media event...tasting beer....etc. Prior to heading to the Thursday session we did get a chance to checkout a bit of downtown Denver, and were able to stop in for an Upslope Brewing tap takeover at the Grand Hyatt at 11am ...yeah they had beer events basically everywhere and at all times of the day. Upslope Brewing tap takeover at the Grand Hyatt Denver. We then made the trek over to the famous Falling Rock Tap House with our good friends Jeff and Chris who run the Colorado beer blog, Bottle Makes Three. 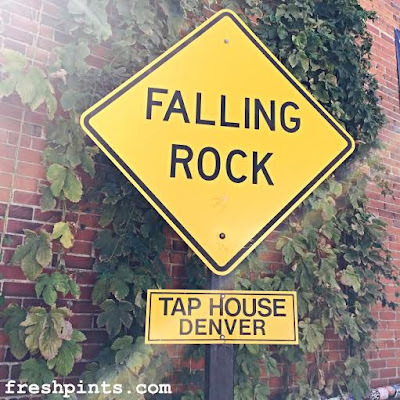 We missed visiting Falling Rock Tap House on our last trip to Denver and I'm glad we finally made it this year. I can see why the Falling Rock Tap House is legendary in the beer world. The beers/selection they had on tap was pretty amazing. And it was basically ground zero for everyone going to GABF. A must visit when you go to Denver. 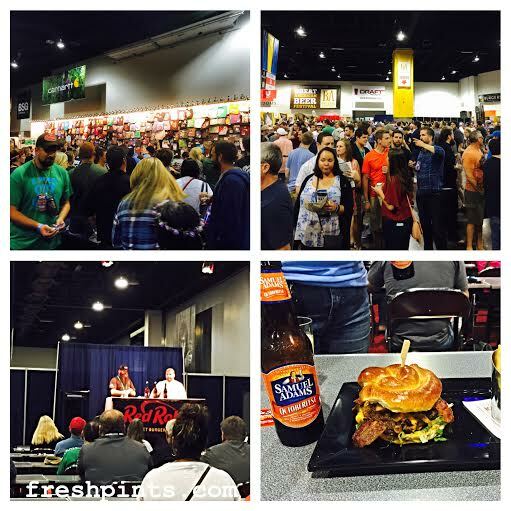 Going into our first GABF we decided not to have a plan as with 800 breweries and 3500 plus beers, we really just wanted to experience the event. Waiting to get into our first session on Thursday night it was a bit shocking to see the line of folks lined for general admission; the line wrapped around the convention center. Thanks to the folks at GABF/Brewers Association we were allowed media passes for both Thursday and Friday which granted us access to the GABF event 15 minutes early, and (thankfully!) via a different entrance. Walking in to the convention center for the first time you really get the enormity of the festival as basically as far as you can see in all directions are rows and rows of booths offering samples of beer. Once inside we got about 15 minutes to walk around before the main crowds were let in, which was nice as newbies to GABF we had a chance to get our bearings on what the plan was. Emily is a big fan of Paradox Beer Company, so that is where we headed for our first of many 1-ounce pours. The rest of Thursday night's session for us was almost a blur..a lot of walking around taking in all that GABF is, and lots of 1-ounce samples. Emily and I were up early for a full day of media events prior to our Friday evening session. 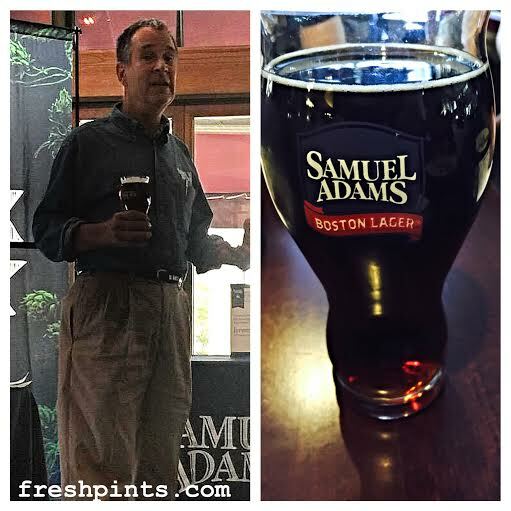 Thanks to Samuel Adams we were invited to its annual Samuel Adams GABF Brunch where we had the chance to grab some food....and yes beer... and listen to Jim Koch talk about his up coming new book "Quench Your Own Thirst", the new line of Samuel Adams Nitro canned beers; the winners of the 2016 Brewing the American Dream Craft Brewer Experienceship; and the Winners of the Samuel Adams American Homebrew LongShot competition. Next up for us was the Brewers Association Media Luncheon. 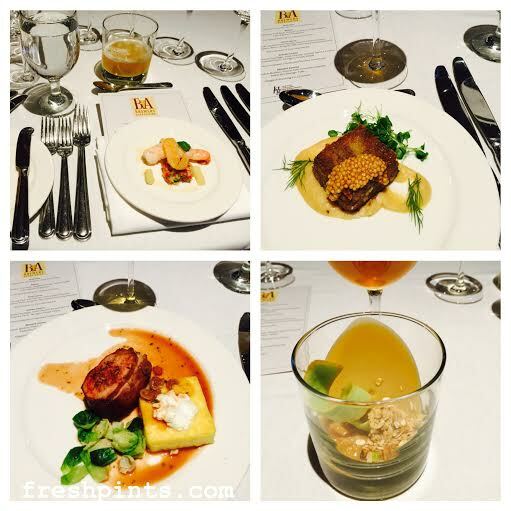 The luncheon consisted of four courses paired with four different beers, with the menu and pairings designed by Executive Chef of the Brewers Association, Adam Dully. 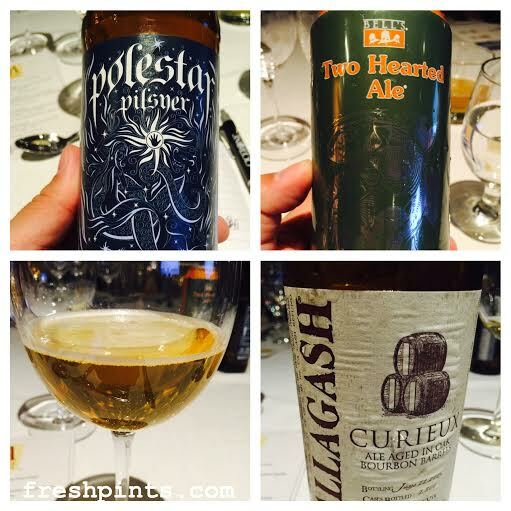 Beers paired with the 4 courses during the Brewers Association Luncheon. During each course, we heard from an industry speaker. These were members of the Brewers Association's various committees and Jake Keeler, of the American Homebrewers Association. We also heard from Paul Gatza, Director of the Brewers Association, Julia Herz, Brewers Association Craft Beer Program Director, and Bart Watson, economist with the Brewers Association. The Brewers Association is doing a great job promoting craft beer and helping steer the business of craft brewing in the right direction. Please checkout the Brewers Association and also checkout the Brewers Association Statistics page. It's pretty amazing how well craft beer is doing as it grows across the United States. After the Brewers Association media luncheon, Visit Denver took the media on a brewery tour of a couple of new Denver breweries. Our first stop was Beryl's Beer a new brewery open a little more than a year that specializes in barrel-aged beers and is located in the hot River North (or RiNo) district. Beryl's was very gracious and had many of their beers out for us to sample, even offering us an option of pouring our own pint from a kegerator. They had very solid beers, an impressive feat for a brewery only a bit older than a year. 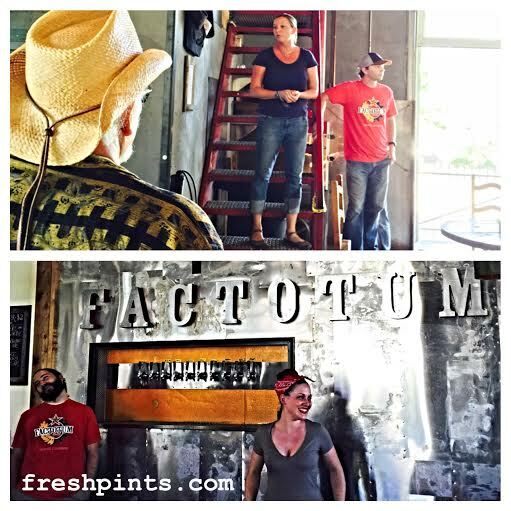 Next up was a visit to Factotum Brewhouse. 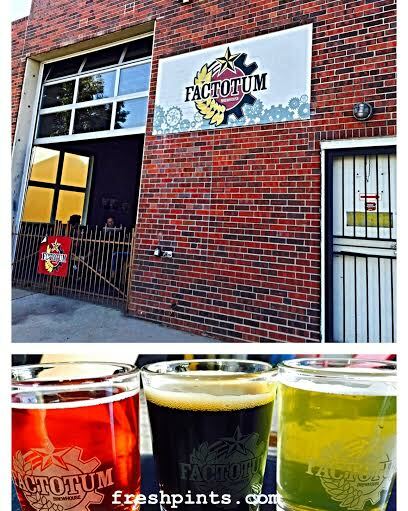 Factotum Brewhouse is a new brewery, also open a little more than a year, which is housed in a former auto garage. Factotum has an interesting business model. They allow home brewers to come in and brew on their 7bbl brew system with the help and recipe formulation of owner Chris Bruns. After the beer is ready, the home brewer gets to take a keg home and then the rest is sold at Factotum. 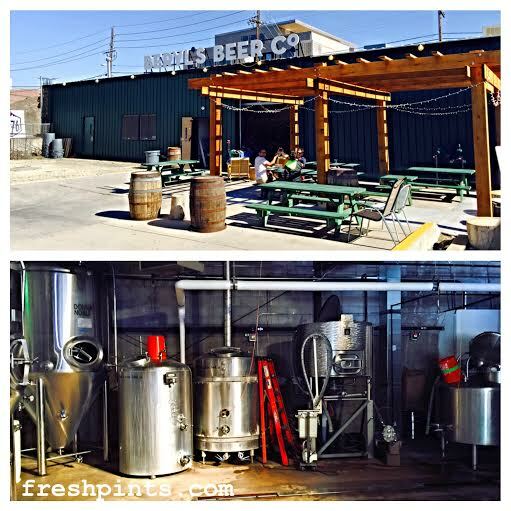 The brewery generally throws a release party for the home brewer's friends and family at the taproom. We think this is a pretty cool business model. Factotum was very gracious and allowed us to try all of the beers on tap, which once again were impressive beers for a young brewery. After the brew tours we were back to GABF. During the Friday session, we tried to see a bit more of the new areas that GABF added this year. We stopped in and checked out the State Brewery Guilds, Beer X.The Craftbeer.com Experience, The Brewpub Pavilion, and (my favorite stop) the Beer and Food Paviliion. The Beer and Food Pavillion was the setting for a number of interesting organized events. 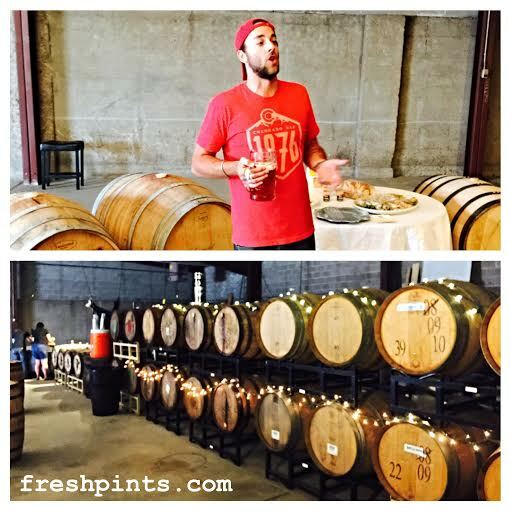 These included talks given by brewery representatives, cheese and beer pairings, and so on. On Thursday attended an Asian food and beer pairing event. It was a little more "foodie" than Emily generally likes, with small bites of things like ceviche and pate, but the pairings were great. 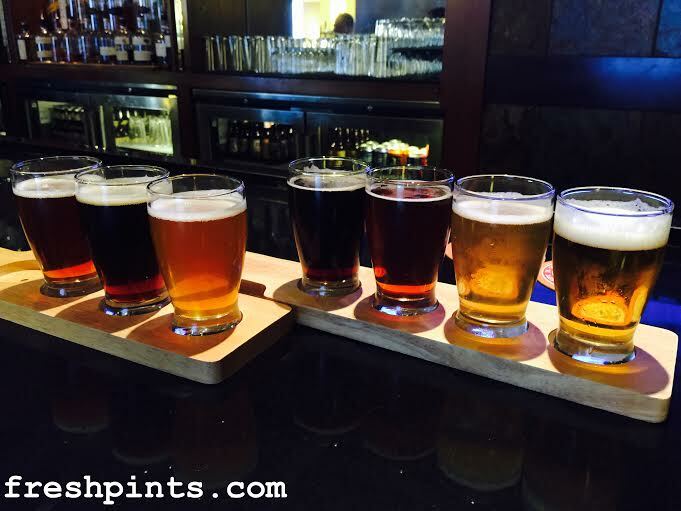 On Friday we stopped in to checkout the Sam Adams and Red Robin Burger pairing, and what a score that was! Based on Thursday's event, we assumed we would maybe get some sliders but were surprised that we got a full-size Red Robin Uber burger with fries and unlimited samples of Sam Adams Oktoberfest (see pic below). A giant burger and fries later in session 2 was exactly what we needed to finish the evening strong. The GABF Friday Session was the end of our trip to Denver and GABF. Saturday morning we flew back to Washington so weren't there for the awards. We followed a few of our favorite craft beer bloggers on Twitter to see who the winners were. Thank you fellow bloggers for keeping us up to speed! 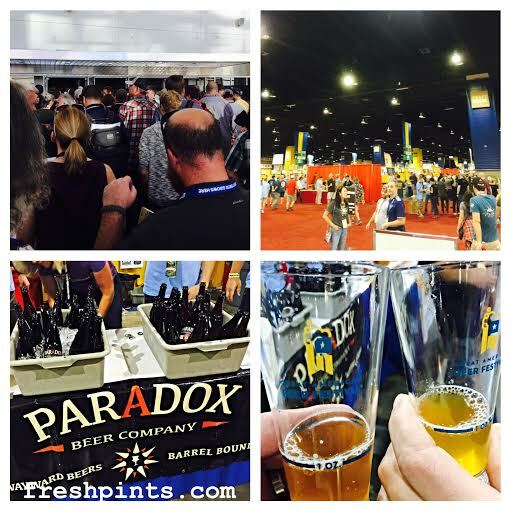 GABF was quite the experience. All the the media events and the public beer events around Denver during GABF were great, but most of GABF was just awesome. It was everything we figured it would be and did not disappoint!